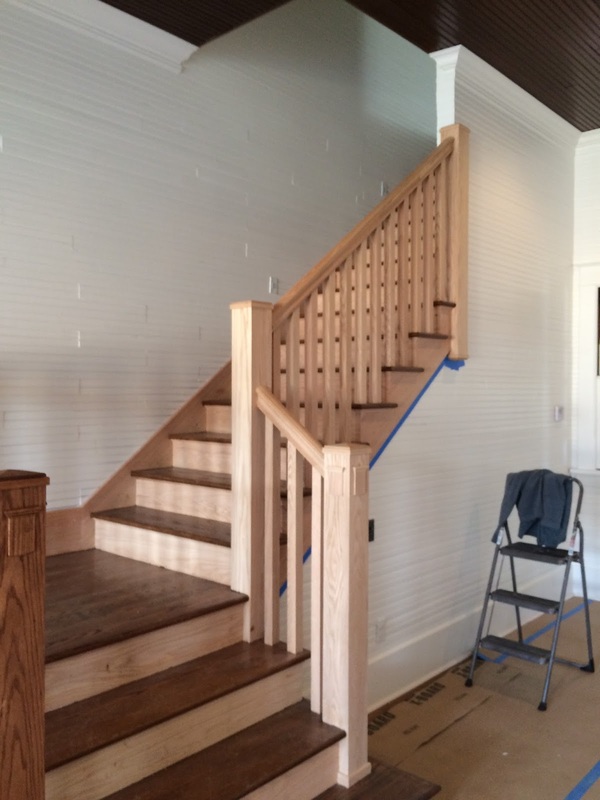 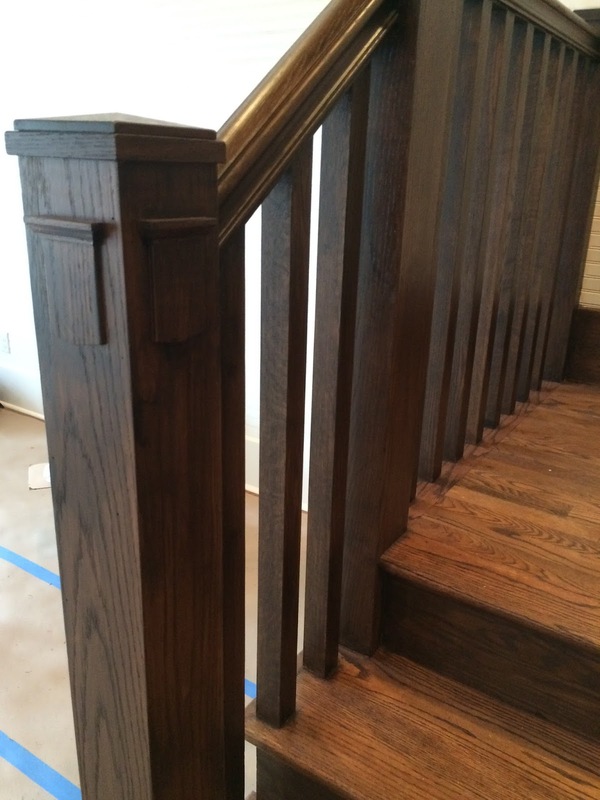 BEFORE: THIS WAS ACTUALLY A NEW CUSTOM FINISH FOR THIS ARTS & CRAFTS PERIOD STAIRCASE. I MATCHED SOME VERY OLD TRIM IN ANOTHER ROOM FOR THE COLOR. 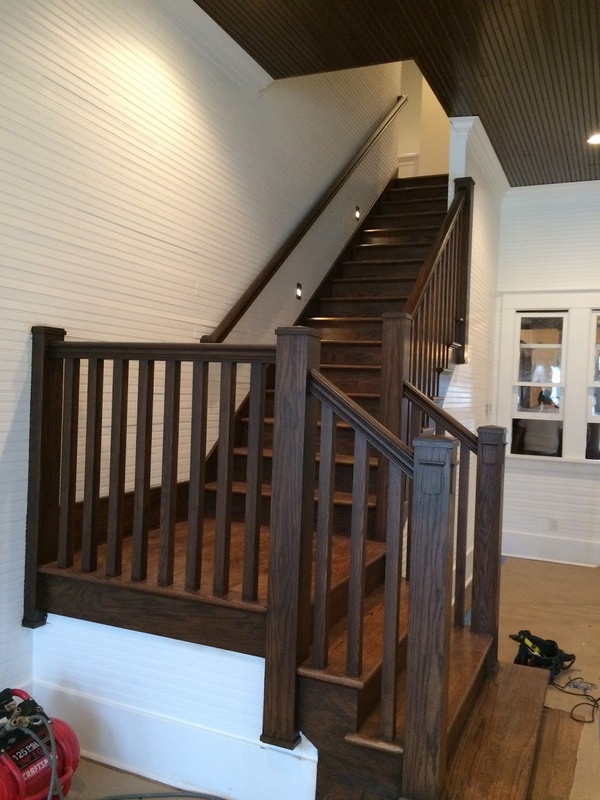 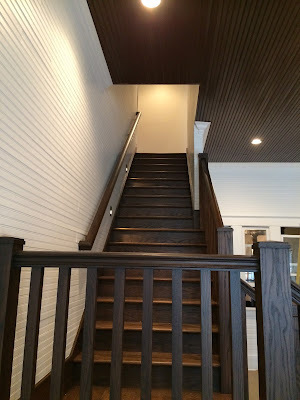 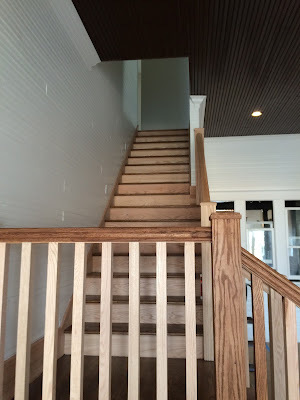 AFTER: THE CUSTOMER WANTED THE STAIRCASE TO LOOK VINTAGE TO FIT THE REST OF THE HOUSE'S MOLDING AND TRIM.